The Ship’s Chronometer, by Marvin Whitney is the authoritative work on the subject, covering chronometers from the earliest days to Atomic clocks. The book contains an excellent first hand description of the development of the Hamilton marine chronometers model 21 and model 22 during W.W.II. 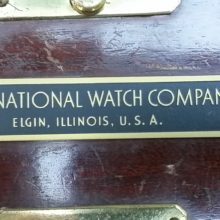 and provides a general discussion of the disassembly, cleaning, and oiling of a chronometer and a list of chronometer makers in the United States and Europe. 499 pages of scholarly research, profusely illustrated with photos, charts and original, easy-to-understand drawings. 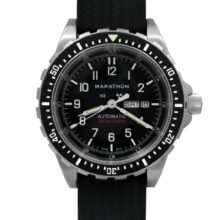 A must for the practical watchmaker and for every serious student of these remarkable timepieces. 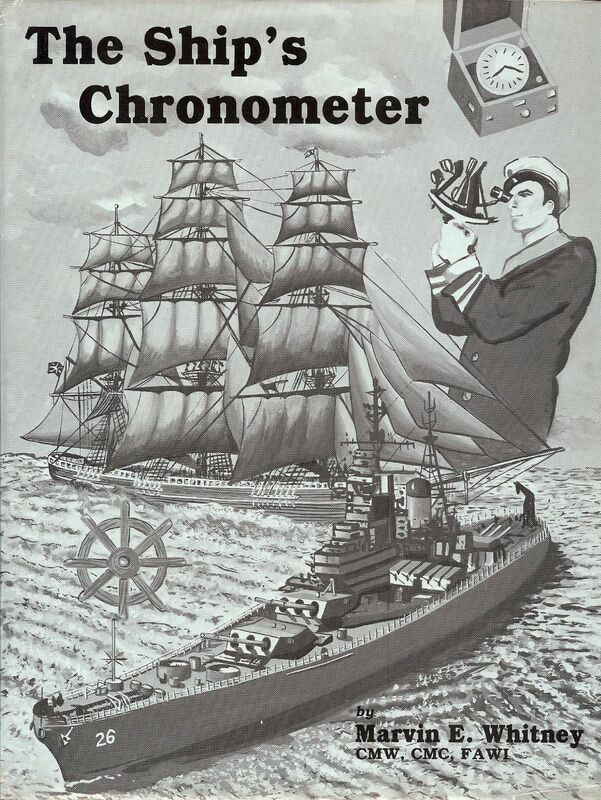 The Ship’s Chronometer, by Marvin Whitney is the authoritative work on the subject. The book treats marine chronometers from the earliest days to Atomic clocks. The book contains an excellent first-hand description of the development of the Hamilton marine chronometers model 21 and model 22 during W.W.II. Whitney was a chronometer maker at the U.S. Naval Observatory during World War II and had first-hand experience in this regard. He provides a general discussion of the disassembly, cleaning, and oiling of a chronometer and a list of chronometer makers in the United States and Europe. This book is a comprehensive treatise on the ship’s chronometer. There are 499 pages of scholarly research, profusely illustrated with photos, charts and original, easy-to-understand drawings. A must for the practical watchmaker and for every serious student of these remarkable timepieces. In the mid-seventies, Marvin Whitney began extensive research for this book. He also took advantage of the archive records in Washington, D.C. as well as traveled extensively to New York, and throughout New England searching out little-known facts about chronometers and their makers in general. 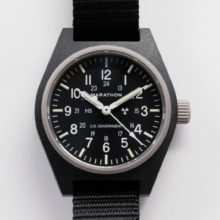 Marvin Whitney began to reduce his notes in 1978, and authored a regular series in the Horological Times called: The Ship’s Chronometer, sponsored by the American Watchmakers Institute (AWCI). These notes were then condensed and organized into this book. For many years, this was out of print and a very difficult to acquire reference work for anyone who owns a Marine or Ship’s Chronometer. 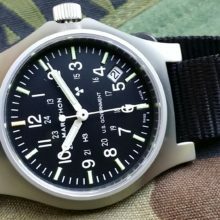 This is a absolute “Must have” for the Hamilton Chronometer owner. Printed on glossy, heavy stock quality paper. In my opinion, whether you are interested in learning about the ship’s chronometer, or are thinking of buying or selling a marine chronometer, this is one of the best books on the subject. Due to heavy weight, please contact me directly for shipping charges if purchasing more than one of these large books.